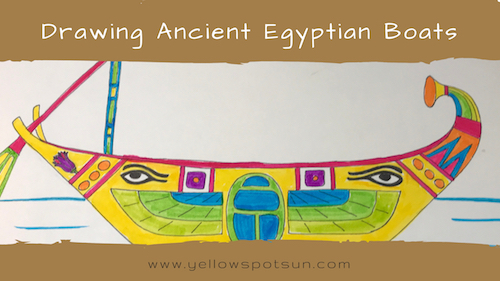 Learn to draw an Ancient Egyptian Boat using shapes and lines. Great simple way to combine art and ancient history! This was a great, simple way to combine art and ancient history! My sons loved following the easy step-by-step instructions. The final design gave freedom for each to express his individuality. I appreciate the explanation of not only how to draw but what symbols are. The discussion which accompanies the drawing is simple for early elementary children to comprehend and remain attentive to the task.